The great real estate relocation may be underway. 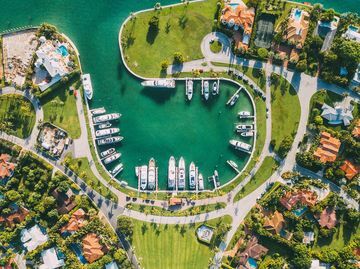 “Luxury sales are slowing across the country, from New York to California, but they’re rising in South Florida,” reports Bloomberg, which says million-dollar plus home sales jumped as much as 15% in our area at the end of 2018. What’s behind the surge? Real estate brokers say higher taxes up north, and fewer deductions, are prompting the wealthy to relocate to Florida in search of better weather and lower tax bills. Renting Vs. Buying: Which Makes You Richer Over Time? Fore! Is Life On The Links The Right Move For You? ← Confused About Brexit? Aren’t We All? Sadly, all the folks fleeing the progressive, heavily taxed liberal states are invading the more conservative ones, bringing their political notions with them.